Have seen Nikoteemus spelled Nickodemus. Patronymic Jaffetinp. Nick Hokkanen and wife Miina came to Green in 1903 with daughters, Lyyli and Liinu. Three more daughters were born to them - Inez, Edith and Celia. Inez remembers some of the wilderness living. Roads were not more than logging trails, groceries had to be got from Ontonagon and when you ran out of something, you just had to be without it. Water had to be carried from a nearby creek or the shallow dug well. A root cellar was built on a hillside and potatoes and other vegetables were stored here for the winter months. Besides farming, Nick operated the first sawmill in Green. From "Green, Michigan and the Kaukas Connection" by Douglas D. Karttunen. 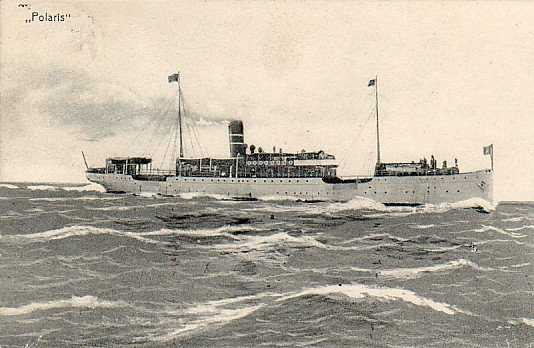 Nikodemus Hokkanen left Finland on October 13, 1900 accompanied by his wife and child: Miina Hokkanen and daughter Lyyli Eliina. Nikodemus was a turner at the Kaukas spool mill in the Lappee area of Finland. 1903 marked the initial year of new settlement in Green, and among the first to establish themselves there was the Nick Hokkanen family. Nick purchased 80 acres of land on Iron River Road from C. V. McMillan & Bro. The land was cleared for agricultural purposes. A log cabin and barn was built on the Hokkanen property and another family moving to the area, the Aaro Savola family, moved in with the Hokkanens. The two families brought two teams of horses, two cows and some chickens with them. A little while later a log cabin, barn and sauna was built for the Savolas. The Antti Karttunen family moved in with the Nick Hokkanen family in 1905 while Antti built his own home nearby. Miina Hokkanen and Ida Karttunen were sisters. The Ontonagon Herald reported in 1905 that 12 to 13 families were living in Green. 1. Cemetery: Carp Lake Township (Green) Cemetery: Green, Michigan (Upper Peninsula). 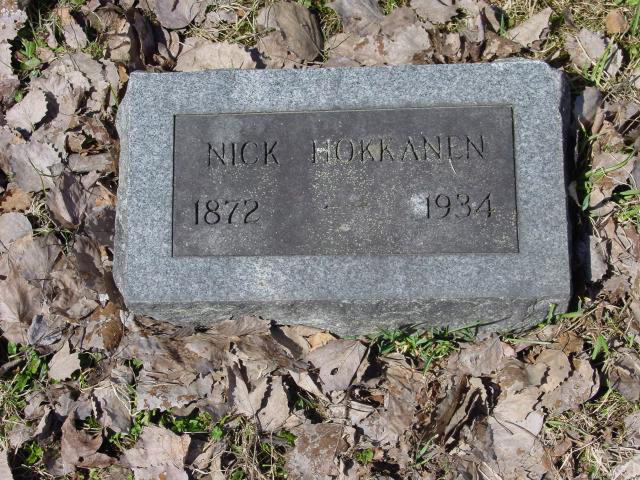 This is a picture of the marker on the grave of Nickodemus Hokkanen.